Sarah Schwarzschild, partner and head of secondaries at Metropolitan, Carlyle's real estate platform, shares her thoughts on balancing professional progression with raising a family. Tom Angell, partner at financial services firm WithumSmith+Brown, dissects the results of sister publication pfm's Fees & Expenses Benchmarking Survey. Who really benefits from single-asset transactions? 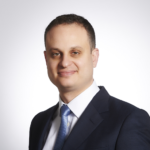 As the market evolves, the lines between direct secondaries and secondary buyouts are becoming increasingly blurred, writes Rede Partners' head of secondaries Yaron Zafir. In the current late cycle pricing environment, secondaries buyers need to play to their strengths, according to managing director Tristram Perkins.